Slides include mounting brackets, screws, and locking devices. 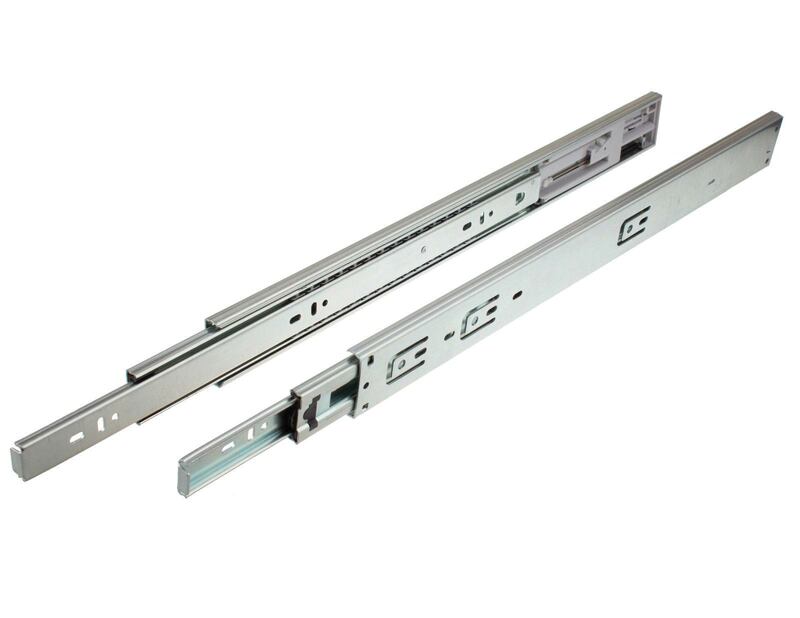 Depth-Adjustable Locking Devices for Blum Undermount Slides are available upon request. Drawer boxes should be notched for undermount drawer slides. For 3/4” thick boxes, undermount slides are available in case lots only. Ball Bearing Side-Mount Slides are full-extension drawer slides. In addition to side-mounting drawers, these are useful for sliding cutlery trays and other sliding in-box features. Heavy-duty slides are available for Waste Bin Pull-Outs.